I really adore Megan Miranda. Ever since I read her debut book, Fracture, I have fallen in love entirely with her stories and characters and I always get wholly wrapped up in the relationships and everything. 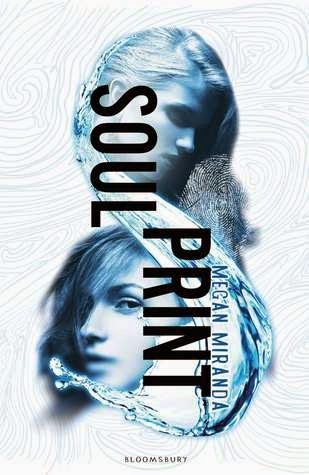 Which is why, when in a reading slump, I relied on Megan Miranda's latest, Soulprint to drag me out of it. And unsurprisingly, it worked a charm. I found Soulprint to be a really addictive, exciting read and one that made me think. Soulprint is sort of unusual story set in a future in which the reincarnation of souls has been proven and is also able to be tracked. As we begin this story, our main character, Alina, has been imprisoned most of her life for her own 'protection' because of the crimes committed by her soul in her previous life that are a bit unclear. She has no privacy, no possessions, no relationships or friendships of her own and she has a very skewed perception of who she is. When she is helped to escape from her prison, she finally has the ability to track down some answers and possibly clear her name and free herself from future imprisonment. What I really liked about this book most of all was the questions it raised... I liked considering different ideas about reincarnation and about punishing a person for crimes committed in a previous life and the ethics behind the incarceration of an innocent person. I also really liked the way in which love is portrayed in this book. How Alina's previous soul, June, had this huge and passionate love affair ... and how it doesn't necessarily translate over a different life and in different circumstances. I thought Soulprint was really interesting and thought-provoking with plenty of action and excitement and a dash of romance. This book really just confirmed Megan Miranda as a recent favourite author.